This mixed zoned lot (Highway Commercial and Suburban Residential) can be anything you'd like it to be. The property offers more than 19 acres with an office prepped for security, phone, and cable. Office has electric, heat, and plenty of parking, not to mention visibility to the more than 4000 vehicles per day traveling by on Route 443. The office space is situated at the corner of the property and is currently leased at $400 per month. 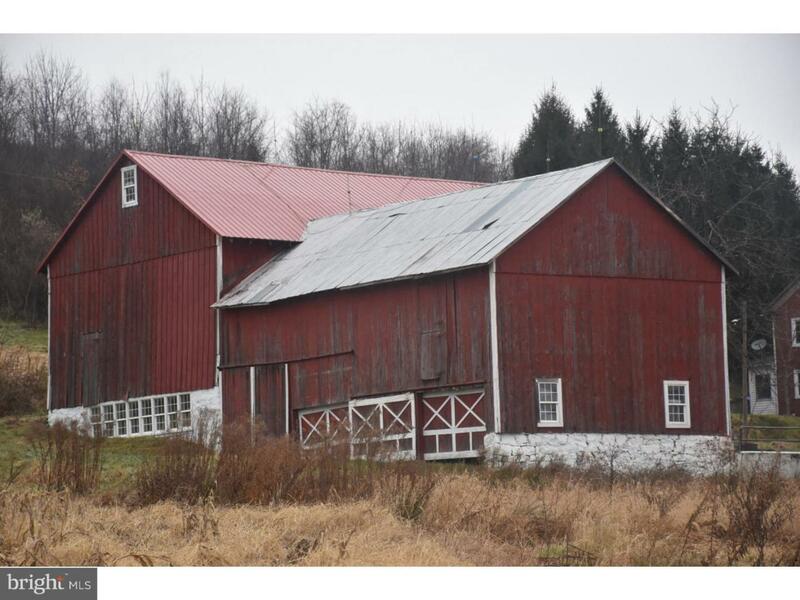 The 2 story barn provides over 3500 sq feet of usable space. The land is currently being farmed with income of $800 per year. This parcel has the ability for you to build your dream home with spectacular views of the valley and surrounding mountains. If your not looking to build for yourself a subdivision is possible. Looking for land for your business, this could just be it. Located a 1/4 mile off of Route 309 (which offers more than 7000 vehicles per day traffic) the proper signage would allow visibility from route 309 to your new business. Dream Home, Farmette, Commercial Business, Subdivision, take a tour today and make your dreams come true.